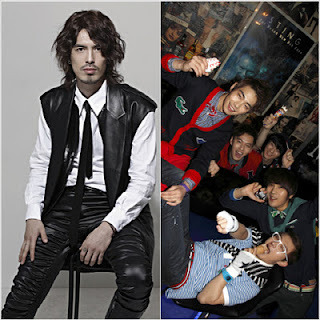 Lee Hyuk of rock band Norazo has been revealed to be CHAOS‘s vocal instructor! CHAOS recently released their debut single, “She Is Coming“, which was the result of much training by senior Lee Hyuk. Lee Hyuk is already known for his powerful, yet refreshing vocals from his fifth album, “Sales King” and through KBS‘s ‘Immortal Song 2‘. His ‘shouting technique’ in his singing has been acknowledged by fellow singers and fans.